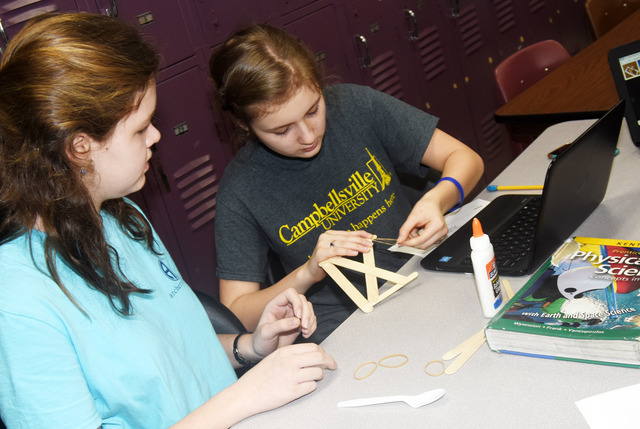 Campbellsville Middle School integrated science students are studying Newton's laws of motion by making catapults. 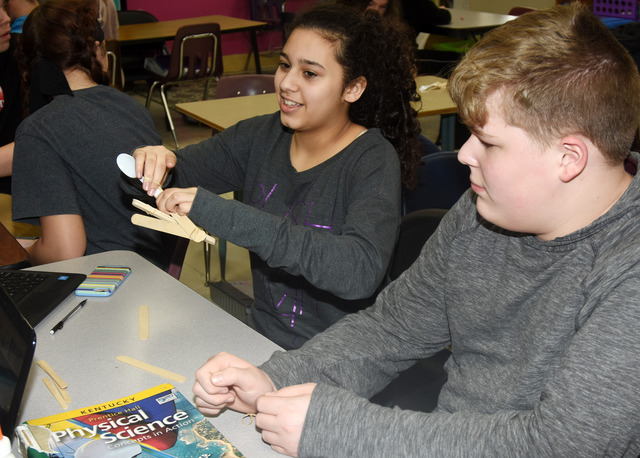 Students in Amy Knifley's classes were asked to make a catapult that would launch a marble. The catapult had to have an arm or a sling. They could be no taller than 2 meters, and must have a triggering mechanism. 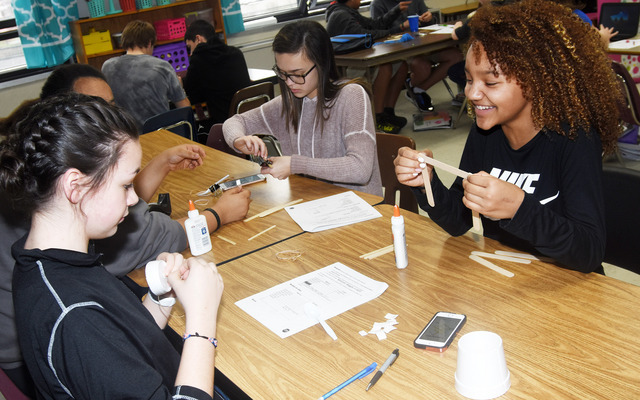 After spending some time researching catapults, students formed groups and went to work making their own. When the catapults were finished, students launched them to see how far their marbles would go. They were asked to calculate the distance their projectile traveled, as well as the initial velocity. Points were given based on how far the projectile traveled, and for creativity. 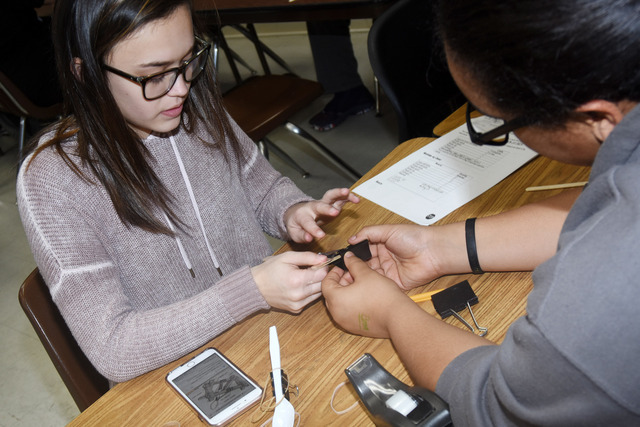 2018-04-08 - Campbellsville Middle School, Campbellsville, KY - Photo by Calen McKinney, Public Information Officer, Campbellsville Independent Schools.